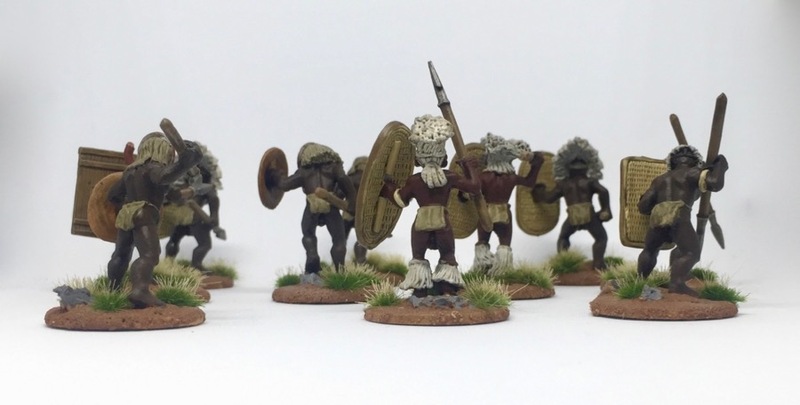 Recently I painted some Darkest Africa Tribal Warriors in hideous masks. The miniatures are from Foundry. They are all metal and nicely sculpted. Well, you won’t expect anything different from Foundry. I really like their stuff. I had a lot of fun painting and basing the tribal warriors. 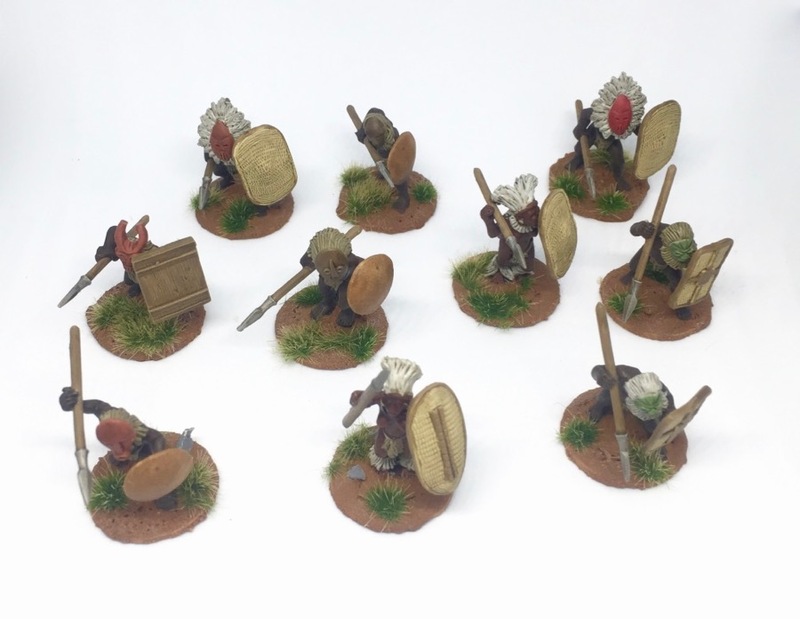 They are suitable for colonial wargaming. 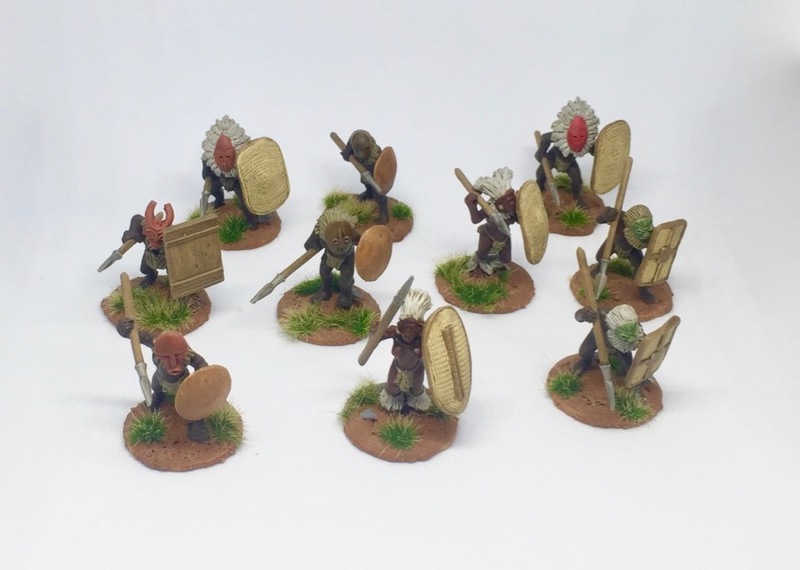 But you could also use them for Pulp gaming in the Dark Continent like we did in our Pulp campaign featuring The League of Adventurers and the evil Thule Society. But enough writing for now, let’s show some pictures. 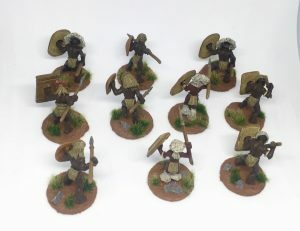 In our games, the Darkest Africa Tribal Warriors in hideous masks add some nice flavor to the table. Especially when a lot of terrain is on the table and the rules offer some kind of ambush mechanic. 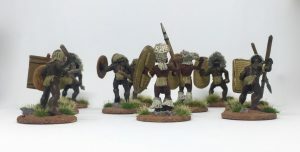 Think of European explorers and their stalwart bearers wandering through the dense jungle, easily fall prey to savage warriors with strange masks. I hope you like the miniatures. Darkest Africa is one of my favorite settings for wargaming. What’s yours? Let me know in the comments.